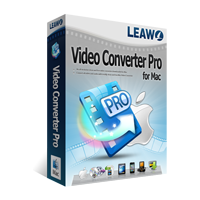 Convert different video formats and rips DVD's directly on your Mac with Leawo Video Converter Pro for Mac, which you can download here. Almost all kind of video formats are being supported by this great Mac program, even HD video such as M2TS, MTS, TS etc. You can even edit the videos directly in Leawo Video Converter Pro for Mac. This is definitely one of the best programs in the category. Check out the demo of the program in the video to your right as it is not possible to download a demo of this program. When you click download you'll be directed to payment. Right after the payment you can download the full version of the program.